Superloop Limited (ASX:SLC) is a leading provider of connectivity and managed services in Australia, Singapore and Hong Kong. They own and operate 640+km of fibre network connecting more than 280 strategic sites across the region. 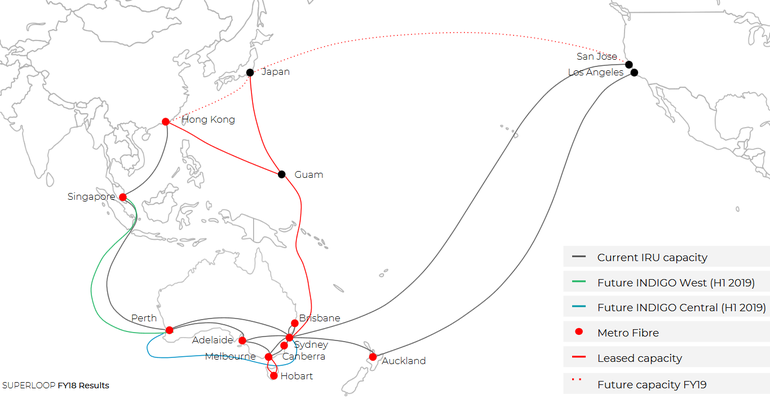 With carrier-grade, metro fibre networks in the three markets, plus fixed wireless networks in Australia, Superloop delivers high-performance, connectivity solutions that are scalable and reliable and is now an end-to-end provider of digital services in Australia, including Cloud-based solutions and managed services.